This Mobile Suit's paint job may attract a lot of attention! 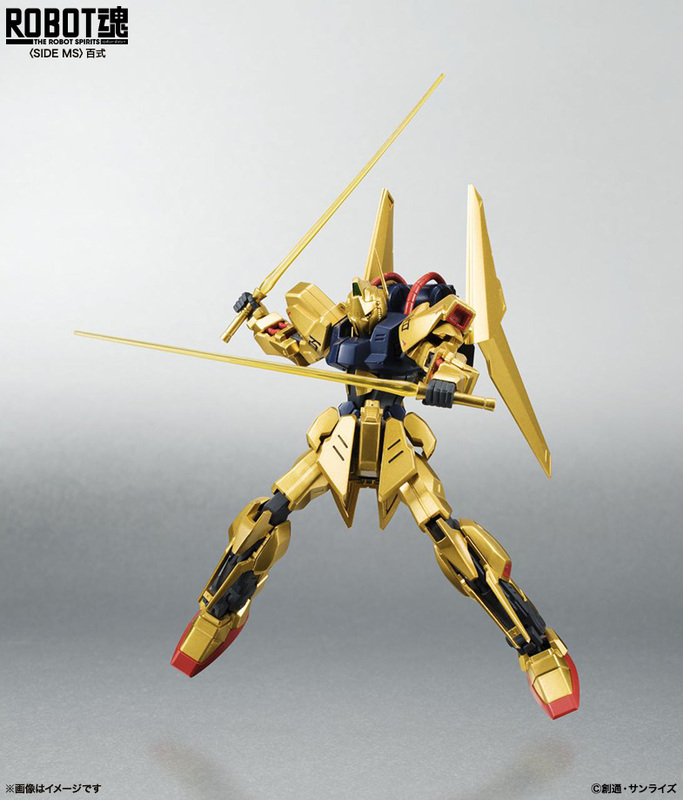 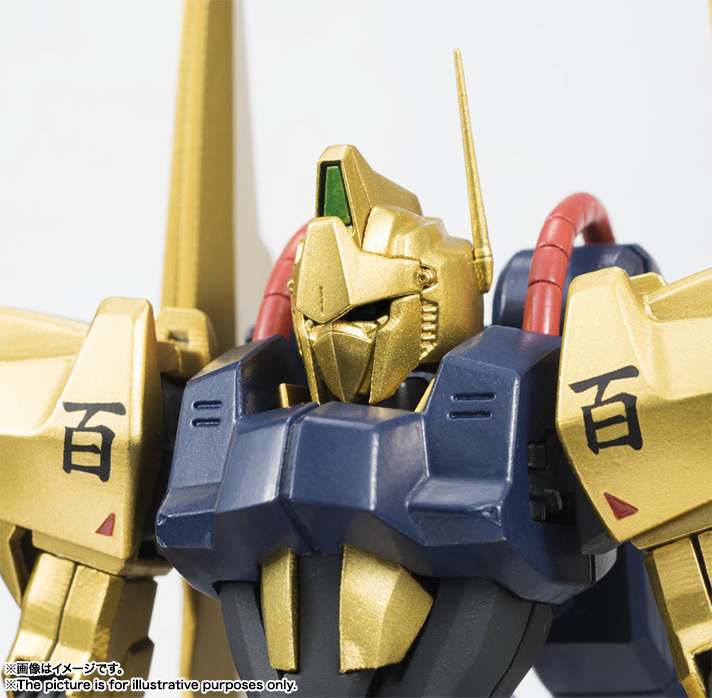 It's the Hyaku Shiki (Type 100) from Zeta Gundam. 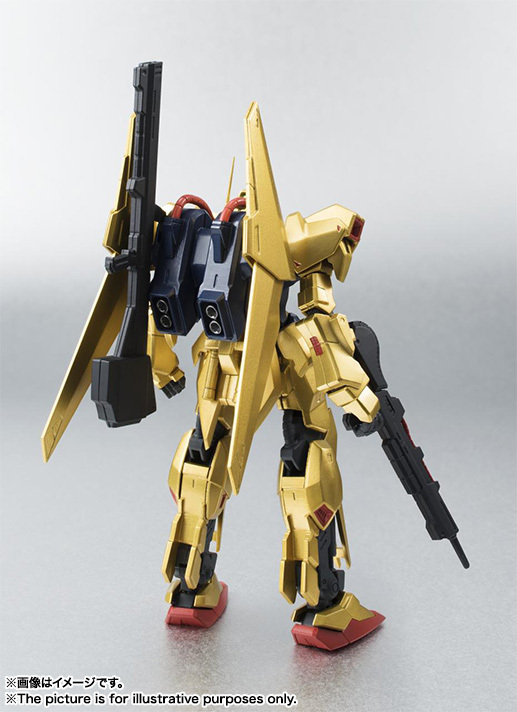 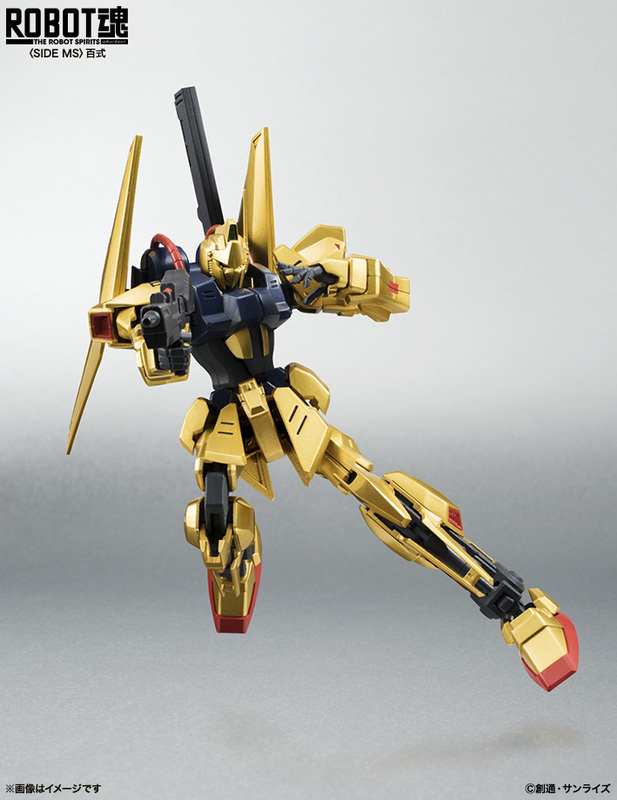 Lieutenant Quattro's high performance MS features a golden paint scheme and comes loaded with a beam rifle, a pair of beam sabers, and clay bazooka that can be stored on its backpack wing binders. 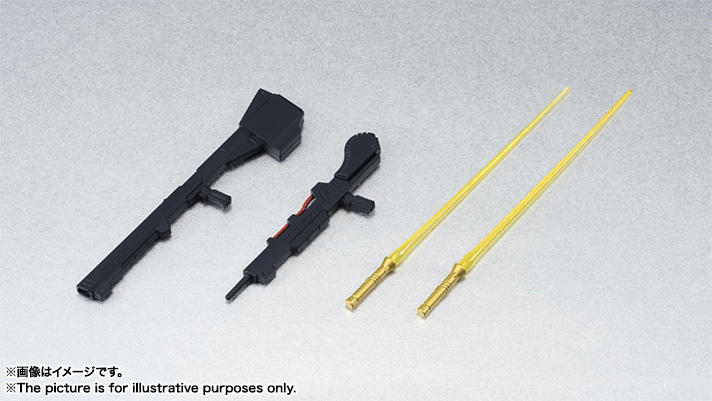 You can also swap out the eye parts to show them lit up. 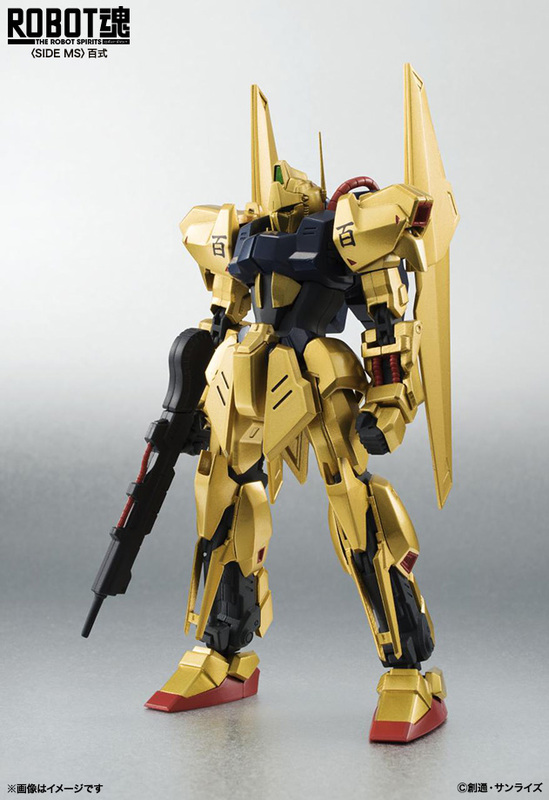 Scheduled for release in June 2015 for 6,500 yen.